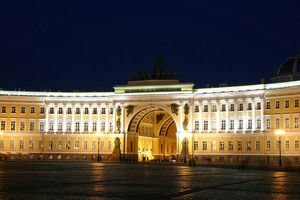 Saint Petersburg is the former capital of Russia, but to this day the Russians continue to cherish it as the Western capital of this country. Saint Petersburg is distinguished among all other cities in the Russian Empire, and even the capital Moscow remains somewhat run back to the royal elegance, in which Saint Petersburg was built. It still remains the main cultural centre of Russia. Saint Petersburg is located on the Gulf of Finland, in the Baltic Sea, just where the Neva River flows into the sea. Saint Petersburg is Russia's largest port, while it is the only city in the world, which is located so far north and has a population of over one million. In fact, residents of St. Petersburg are slightly less than five million, making it the second largest city in Russia after Moscow. Saint Petersburg North is often called the northern Venice because of its beautiful and numerous channels that crisscross the city. With plenty of water Petrograd, or Leningrad (the old names St. Petersburg) ranks first among the cities of the Russian Federation. Neva River, springs from Lake Ladoga, flows through the northern Russian city along an entire 28 km distance. The average width of the delta is 340-650 meters. Within the city run about a hundred small and larger rivers and streams and the water surface reaches one tenth of the area of the city. Above the water channels were built about eight hundred bridges, not counting industrial ones, including 218 pedestrian only bridges as well. 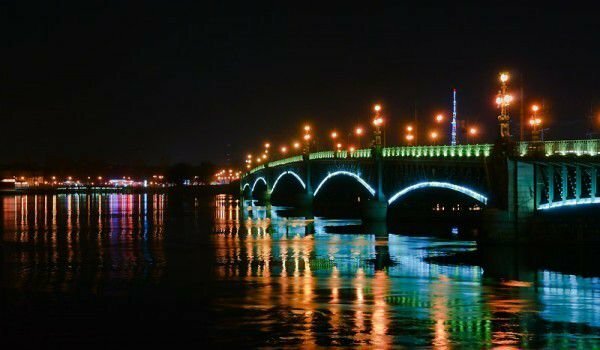 The longest bridge is Obuhovskiy Bolshoi. Peter the I, of Russia established Saint Petersburg in 1703. The idea of the monarch was to erect a large city to be entirely devoted to art and culture and be like a "window to the West" for the Russian Empire. Peter the Great initially had the idea to establish a pleasant port city in Odessa, but inexplicably changed his plans and made a major northern city center - Saint Petersburg. One legend states that on May 16, 1703, while he roamed an uninhabitable island, Peter the Great suddenly stooped, picked up two dry twigs, crossed them and said, to the amazement of his entourage, here's a city! And so it happened. The monarch enlisted architects, including the likes of Rastreli, Trezini, Kvarengi, Rosi, Montferrand and the best painters and sculptors, to prepare plans for a city-masterpiece. The first building, which had to be built was the Peter and Paul Fortress on the Neva estuary. In 1917, at the center of the October Revolution, the Soviet-imposed government in the country led to the creation of the Soviet Union in place of the Russian Empire. A year later, Moscow became the capital city. The number of landmarks in Saint Petersburg is incalculable. The town is dominated by the Winter Palace, whose facade stretches 200 m. This is only one of many important monuments of Russian imperial history. The Winter Palace was built in baroque style by order of Queen Elizaveta, specifically for the needs of the imperial family during the cold months of the year. The interior of the Winter Palace of Saint Petersburg is an excellent example of the lavish life of royalty in Russia. In 1764 Catherine the Great ordered the building of the Hermitage, which must house her private collection of works of art. Today the Hermitage is one of the largest art galleries worldwide. 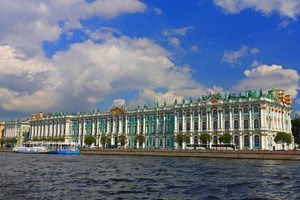 Its vast collections are continually expanded over the centuries, and today works fit in five beautiful buildings, and the Hermitage in St. Petersburg is second only to Louvre in Paris. In this incredible gallery you can see works by Michelangelo, Leonardo, Rembrandt, Picasso, Lorraine, Vato, Monet, Cezanne, Batista Tiepolo, Gauguin, Van Gogh, Rubens and many others. The Old Town section of Saint Petersburg is incredibly beautiful with its neoclassical and baroque buildings and palaces. As recognition of the huge architectural and historical potential of this place, it is included in the list of World Heritage sites by UNESCO in 1990 Saint Petersburg is incredibly popular with its many beautiful churches. Some of the most notable are "Peter and Paul, " which is located on Palace Square. Here you can see the tombs of Peter the Great and his successors. Particularly impressive is the building of St Isaac's Cathedral, whose giant dome is covered with 100 kilograms of gold. On Nevsky Prospekt you can visit the Kazan Cathedral, which was built on the model of the cathedral of St. Peter, in Rome. In 1990 UNESCO included in its list the palace-park ensembles in the suburbs of St. Petersburg - Tsarskoe Selo, Peterhof Palace, Pavlovsk, Strelna, Gatchina Palace, Oranienbaum Ropsha, Pulkovo, and Shliselburg Kronschat.